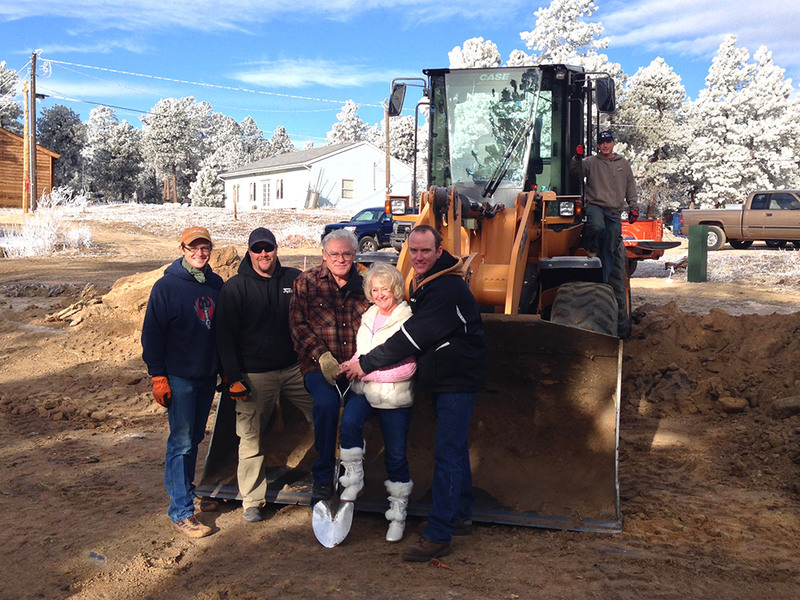 This morning we broke ground on our very first Black Forest fire rebuild on Neva Lane in the central part of Black Forest in Colorado Springs. Bob and Bobbie Metzger are looking forward to becoming homeowners again after the Black Forest fire gutted their home and destroyed nearly everything they owned. The Metzgers were recently written about in the Huffington Post, and you can see a video from the Associated Press here. We’re very happy to help rebuild for the Metzgers, and give them the keys to their new home just in time for them to celebrate their 50th anniversary.